This might be the time of year when everyone wants to cool down, but the box office is hoping it can stay hot off the holiday weekend. With “The Twilight Saga: Eclipse” still fresh and some new (but classic) horror and a family film coming down the pipeline this weekend, there’s a good shot it can stay relatively on track heading into a surely big weekend when “Inception” hits theaters next Friday. 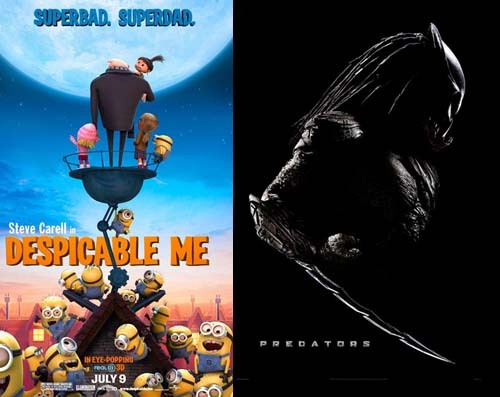 This week its the sci-fi/horror reboot “Predators” along with supervillain-meets-“Adventures in Babysitting” family movie “Despicable Me,” which showcases the voice talent of Steve Carell. 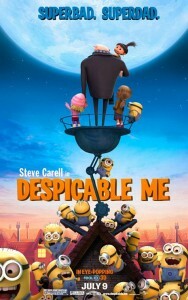 The Word: The world’s number two greatest supervillain is Gru (Carell) and his plant to steal the moon and outdo his arch nemesis becomes a bit more difficult when he has to take care of three orphaned girls. More than a year of marketing comes to a head for Universal’s new animation studio, Illumination Entertainment. My Thoughts: These days, when buzz is pretty good surrounding an animated film, you have to believe it. Though little has rivaled Pixar, many have come close and it looks as if “Despicable Me” is right up there, adding another venerable animated film to the list of hits over the last two years. Recommendation: If you’ve seen “Toy Story 3” already, you have my clearance go see this one. 3-D appears to be worth it from early reviews: it takes advantage of the gimmicky side of the extra dimension. 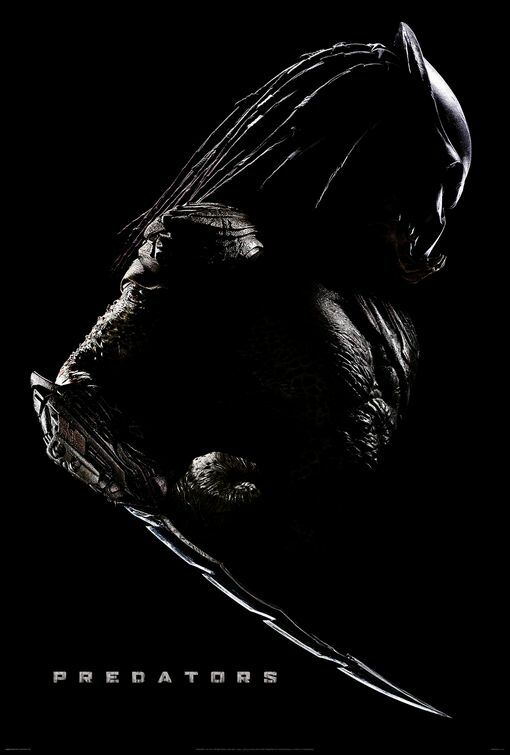 The Word: Produced by Robert Rodriguez, the Predator franchise takes a much needed turn away from the “Alien v. Predator” movies, this time rebooting itself akin to the original (although not a direct remake). This time, a group of expert human killers find themselves on the predators’ planet being hunted by several of them. My Thoughts: If this indeed lives up to the entertainment factor that made the original work, then it’s about time we had a suspenseful action/horror film. With so much action comedy being pumped through theaters, this should be a fresh change of pace in a summer without many action films that cater to adults instead of the whole family. Recommendation: If you enjoy the original or any kind of film with the “creature(s) hunt people” dynamic, this is your summer ticket. This weekend we have a tighter race than usual for the number one spot. “Eclipse” projects to make right around $30 million, which is right where both newcomers should land taking into account decent reviews and comparing them to similar films released in July. Because it’s tough to bet against, The Twilight Saga: Eclipse is my pick to retain the top spot. “New Moon” dropped 70 percent in its second weekend, but that was because the three-day totals for the first weekend were astronomical. With all the die-hard fans seeing the film Wednesday and Thursday of last week, the numbers from last weekend appear more normal, so I expected the typical 50 percent drop to 30 million. The wild card in the group is Despicable Me. Here you have an animated film that’s not a sequel and is not based on any previous material from a new studio. Last year, the third “Ice Age” movie made around $40 million at the beginning of July. In September, a non-sequel based on a book called “Cloudy with a Chance of Meatballs” made $30 million. I’m guessing $28 million, but it could surprise and take first with ease. Anyway, that leaves Predators for third with $25 million. Based on this week, expect Toy Story 3 to leapfrog The Last Airbender as well. With terrible word of mouth, “Airbender” should drop at least 60 percent, which should allow the Pixar hit to be fourth.